The Constitutional Court of Korea recently ruled as such. 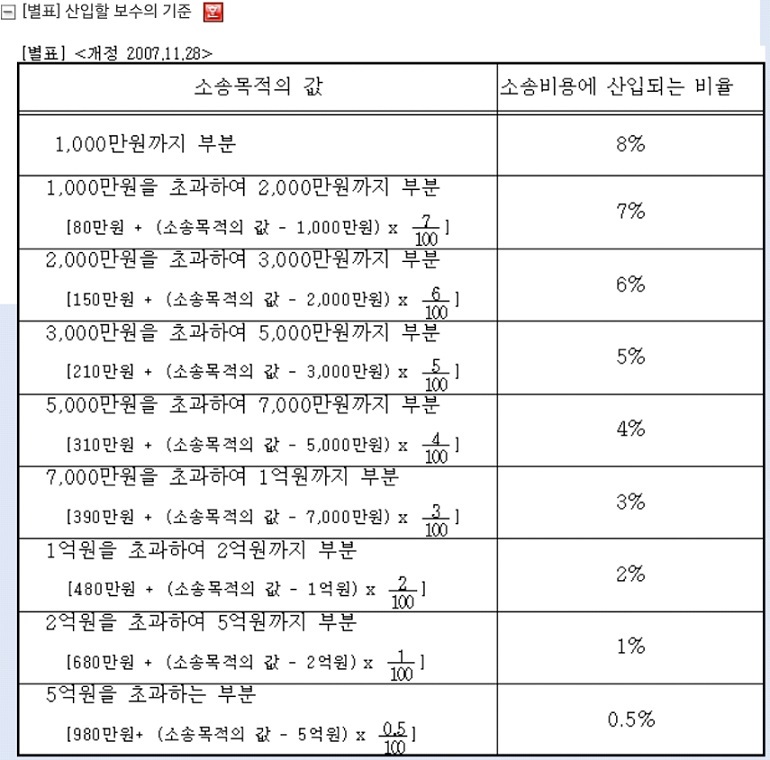 In Korean litigation, the loser is required to reimburse the winner’s legal expenses. Costs of a lawsuit shall be borne by the losing party. The costs of lawsuit to be borne by the parties in cases of a partial defeat shall be determined by the court: depending on circumstances, the court may charge either of the parties with the whole of the costs. Of course, the loser is required to reimburse only up to a certain amount (depending on the “amount in controversy”). Please see table at the top. For example: If the plaintiff sought 500 mil won in damages (and won), the maximum he/she can be reimbursed is 9.8 mil won. Of course, if the plaintiff spent less than 9.8 mil won, then that’s (only) what he/she is entitled to. Thanks for reading!